Genomics is a big data science that generates mountains of information. This genomics data is helping us to address a myriad of challenges in agriculture, aquaculture and fisheries, energy, the environment, forestry, mining and health. Aggregating and analyzing this data creates challenges of its own and genomics researchers are developing increasingly sophisticated ways to sift through genomics data to pinpoint what they need. 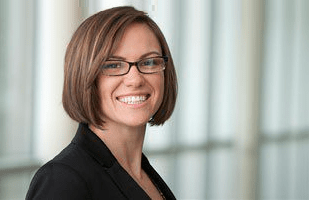 One of these researchers is Kelci Miclaus, PhD, a research statistician developer for JMP Genomics software from SAS Institute, an American multinational developer of analytics software. Dr. Miclaus researches and implements new statistical methods for analyzing genomics data, which are incorporated into subsequent releases of JMP Genomics. Dr. Miclaus will be a keynote speaker at a genomics in agriculture conference hosted by Genome Atlantic in Sackville, New Brunswick. Agriculture uses genomics to help develop healthier and more productive crops and livestock and to aid in more sustainable farming practices. Modern agricultural operations now routinely incorporate genomics data-gathering – from high density soil sampling, to genotyping and sequencing tools that aid in breeding decisions, to aerial devices to determine which crops are flourishing and which aren’t. Innovative new products like JMP Genomics are helping agriculture to make the most of powerful genomics data. The software allows plant breeders to quickly identify genetic markers for certain traits such as yield and disease-resistance, and breed for these markers – in a fraction of the time it would take through traditional breeding methods. Genome Atlantic caught up with Dr. Miclaus recently to ask her for her thoughts on new approaches to mining genomics data and how genomics technology is transforming agriculture and other resource industries. Genome Atlantic: Genomics offers huge potential for agriculture, including accelerating the breeding of new, higher-yield and disease-resistant crops and improving soil quality. But mining the sheer mountain of genomics data can be a considerable challenge. How are tools like JMP Genomics helping the industry to tackle this challenge? Dr. Miclaus: Inclusion of genomic data in agriculture is transforming the field, and we can now learn more than ever about the underlying biology and genetic diversity of plants, animals, and even the microbial communities that shape our food production systems. But yes, this hinges on the ability to take this typically large amount of data and find meaningful signals of how genetic variants and gene expression affect the physical traits we observe. It’s not just about finding single genetic markers that affect a specific outcome. We must use the data to learn how genes work together, comprehensively, to affect multiple outcomes simultaneously. Then we may want to use this knowledge in predictive models to selectively enhance desirable traits. This requires advanced statistical analysis to effectively mine this mountain to find the gems. JMP Genomics offers a comprehensive suite of analytical tools to accomplish just that, and is uniquely designed to focus on visualization of integrative genomic signals and patterns to lead to rapid insight. Genome Atlantic: Using tools like JMP Genomics, researchers can speed up genomics breeding. How does the software work – and by how much can it shorten the breeding process compared to traditional breeding methods? Dr. Miclaus: A traditional breeding program relies mainly on observed phenotypes to drive which crosses to make in the next generation. This is time consuming, costly, and highly variable. It may take several seasons of growing and multiple test crosses to find the right varieties or lines that perturb just a single trait. JMP Genomics employs genomic selection methods, which use genetic variability to build predictive models based on genome-wide markers to drive trait improvement and cross-selection—all on the computer! You can even optimize multiple traits simultaneously. Researchers can use our software to simulate an entire multi-year breeding program in a matter of hours; this leads to huge savings in time, money, and resources. The ability to predict both genotypes and phenotypes of future generations and make upfront decisions and what-if scenarios on which crosses are viable has significant sustainability benefits, including land use and water scarcity for agricultural experiments. Genome Atlantic: How are genomics technologies changing industries like agriculture? Are these technologies useful and accessible to everyone – or mainly for large-scale farming and breeding operations? Dr. Miclaus: I grew up on a small family-run beef cattle farm run by my mother. She uses breeding values to make decisions on the cattle she buys/breeds. Whether she knows it or not, she’s using genomic technologies, so yes I think it is useful and SHOULD be accessible to everyone. I truly believe genomics has gone mainstream in both the health and agricultural industries. Terms like precision medicine, precision health, and precision agriculture are really all interrelated. You go to the doctor, and you may be prescribed a certain medication or even a diet based on your genetic profile. We want to make better crops to improve human health and sustain our growing population; modern breeding practices dictate using genomics and other technologies (like drones and image analysis) to accomplish this. We currently have a partnership with General Mills, who is successfully using these methods to improve key crops like sweet corn and oats, and then sponsoring farmers in third-world impoverished countries to employ these techniques to build sustainable economies. Many of our other customers are smaller research core labs or smaller breeding companies and it’s often the smaller, more nimble companies that can most quickly take advantage of disruptive technologies. Genome Atlantic: In your opinion, what are the most exciting of these new technologies? Dr. Miclaus: I find the new research around the use of CRISPR-Cas9, a gene editing tool with great potential to revolutionize our application of genomic research, fascinating if not a little terrifying. A recent research study has shown preliminary evidence that unintended mutations across other areas of the genome may occur with this technology, indicating how critical in-depth research and analysis will always be in the application of existing and new genomic technologies. That is why we develop tools like JMP Genomics, to give researchers the ability to perform high-quality scientific analysis for both classic and more modern approaches using a solution built on proven routines from SAS Institute, a leader in analytics for over 40 years with a beginning in agriculture. Genome Atlantic: Your work puts you on the cutting edge of genomics data analysis. What do you see for the future in this field? Dr. Miclaus: There is still just so much we don’t know about genomics! I feel like every major discovery just teaches us more about how little we understand about the complicated intricacies of systems biology. There is DNA sequence variation, there is gene expression, there is protein and metabolite variation…then we learn about epigenetics and how environment can affect every stage of such variation. We are also learning how much of an impact the microbial genomic community plays a part in agriculture (e.g. soil conditions) and human health (gut microbiome). I think the future is bright, I think we will continually see some of the brightest minds take on research in the genomics realm and drive more understanding through integrative analysis methods. There is also a data science revolution centered on advanced machine learning techniques occurring that is perfectly in tune with the genomic revolution. I believe genomic data will provide some of the most interesting applications to the new breed of data scientists, especially to those working in the agricultural industry where we have a most demanding need to find innovative ways to sustain our population and feed the growing world.